Perfect coconut macaroons are crunchy on the outside soft and chewy in the middle; getting the consistency right doesn’t take any effort whatsoever. 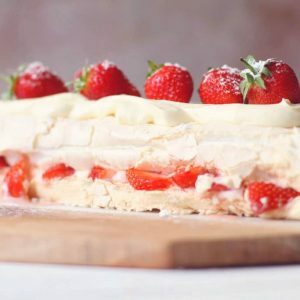 I think the simplicity of a macaroon recipe can be so overcomplicated at times. 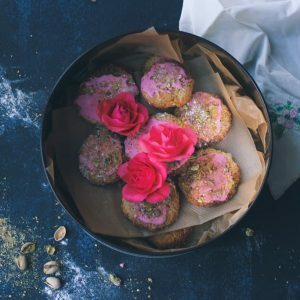 If you ask me, the very best coconut macaroons are both flourless AND eggless making them completely gluten-free. Got 20 minutes to spare? You can whip up a batch that will leave your entire house smelling of sweet coconut. And it smells SO GOOD. 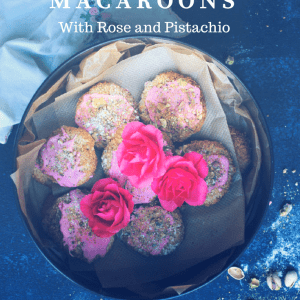 Now, you could just leave it there because there’s nothing wrong with a ‘naked’ coconut macaroon, but if you wanted to take it one step further I recommend you spend a few extras minutes pounding up some shelled pistachios and adding a drop or two of Rose syrup to icing sugar. 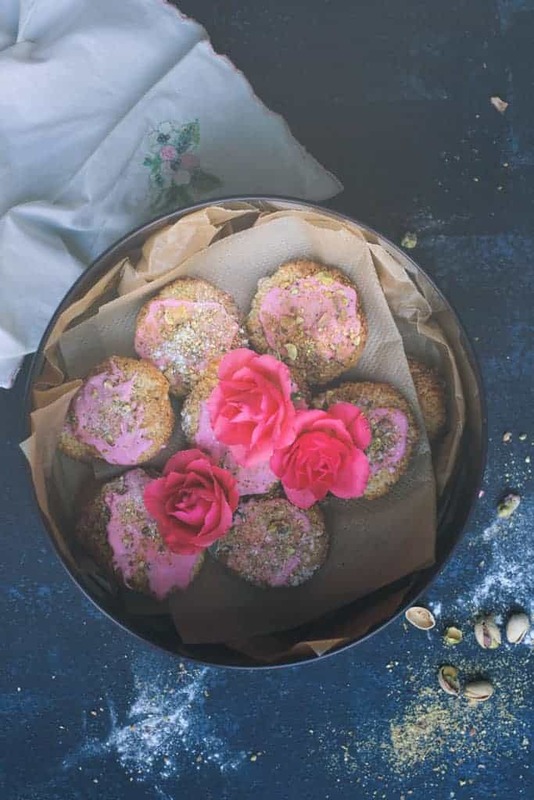 The rose flavour is beautifully delicate and looks ever so pretty adorned with crushed pistachios. That combination plus the crunchiness of the lightly toasted coconut is a match made in macaroon heaven. The next big question is whether you like your macaroons well toasted or not? Personally, I can instantly tell a homemade macaroon against a shop bought one. Boxed macaroons will be snowy white and have a soggier and wetter consistency versus the crisp and toasted edges of home baked ones. I like mine properly toasted on the edges which is why I pop the coconut under the grill before I mix in the rest of the ingredients, however, if white macaroons are your thing, skip the toasting step and keep a close eye on them throughout baking so they don’t catch. We should probably talk about shape since coconut macaroons come in all different sizes. I’ve seen teardrop ones (and attempted them but they went flop in my oven! ), smaller bite-sized ones or flatter cookie shaped macaroons just like the batch I’m writing about here. 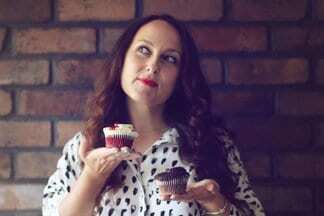 Again the choice is yours – I’ll add some notes to the recipe to accommodate all shapes and sizes! Line two baking sheets with baking parchment. On one of the sheets spread out the desiccated coconut and put it under a medium grill for a couple of minutes until the coconut starts to brown. Tip the toasted coconut into a large bowl and set the baking tray aside for later (you can reuse the same sheet of baking parchment). Add the condensed milk, vanilla extract and bicarbonate of soda into the coconut and mix until thoroughly combined. It should be thick and quite difficult to stir. Take the coconut mixture in your hands and shape 15 balls. If it feels like it won't hold its shape add more desiccated coconut a tablespoon at a time until it feels firm but pliable. N.B make more balls if you want smaller bite-sized macaroons. Arrange the balls on the prepared baking sheets, flatten with the palm of your hand and leave an inch gap as they will spread during cooking. N.B For ball-shaped macaroons use an ice cream scoop to tightly pack the mixture and drop it onto your baking sheets, skip the flattening part! Bake for around 15 minutes or until brown and toasted on the outside and remove from the oven. The macaroons will still have a slight 'wobble' at this point but will firm up as they cool. 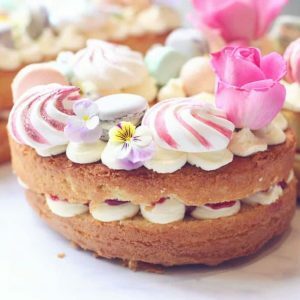 To make the icing, put the icing sugar into a bowl and add cold water a tablespoon at a time until you have the right consistency, add the rose syrup a few drops at a time. You might find you want to add less than a teaspoon if you want a paler pink. 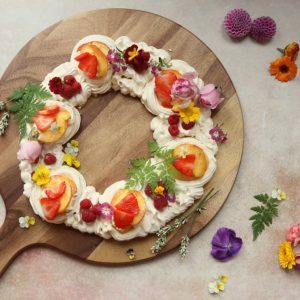 The rose flavouring can be quite potent so use it sparingly. 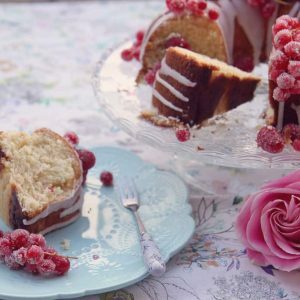 The icing should be runny enough to drizzle on top but not so runny it slides off. 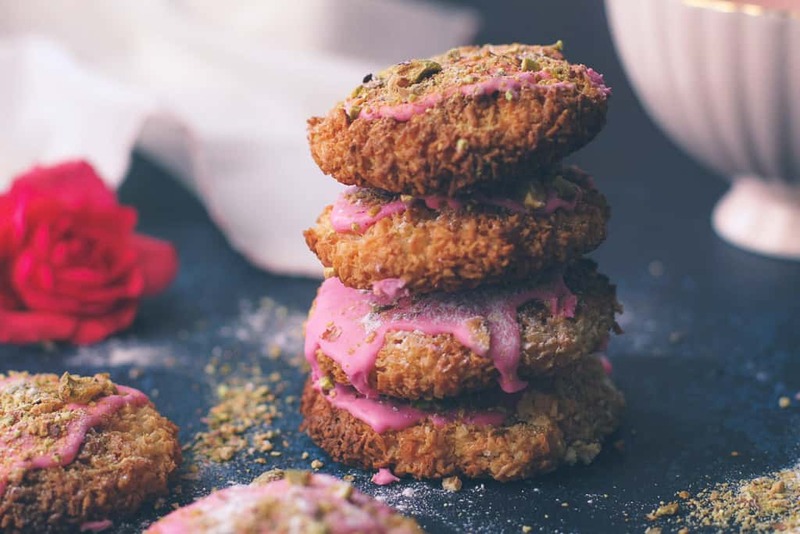 Transfer the coconut macaroons to a wire rack to cool completely then drizzle the icing on top then add a sprinkling of pistachios. If you don't want the macaroons too crisp, skip the toasting stage. For smaller bite-sized macaroons increase the number of balls from 15 to 25. If you don't want to make flat macaroons then use an ice cream scoop and pack the mixture in firmly before dropping it on to the baking tray. Don't flatten it with the palm of your hand. Leave a 1-inch gap between the macaroons. They will spread during baking! Use the rose syrup sparingly as it is potent. 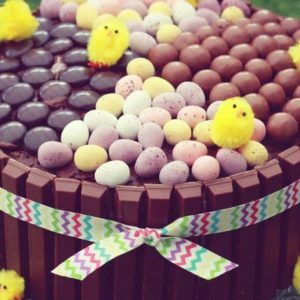 Please don’t forget to share this recipe if you like it and check out my sweet treats section for lots more baking ideas. 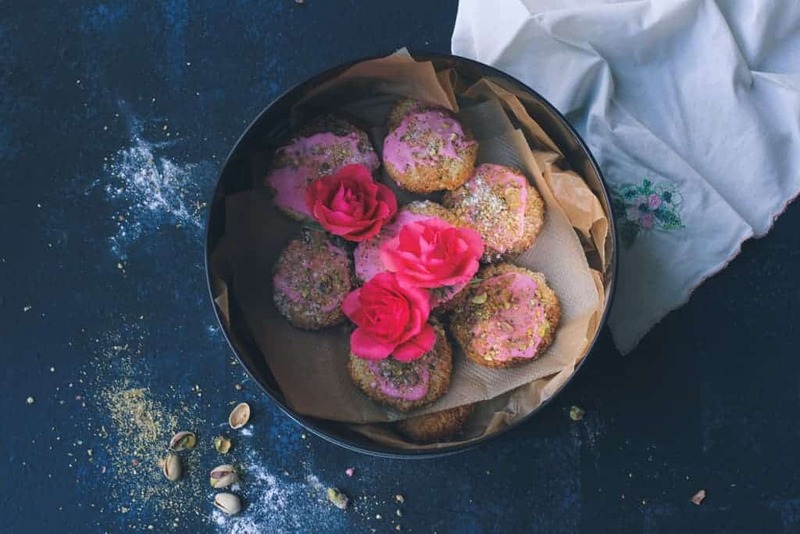 Have you tried this recipe, what did you think of the rose and pistachio flavourings?